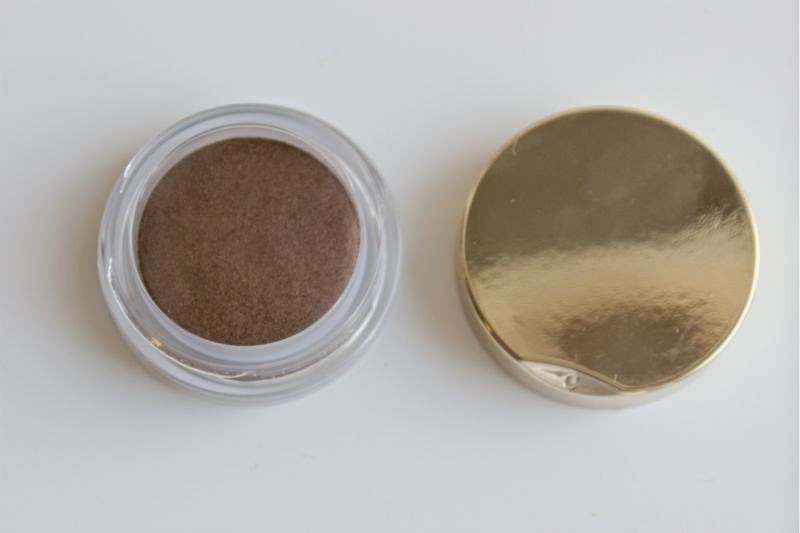 A cream eyeshadow that is completely matte? What is this wizardry? Okay someone may have stayed up a little late watching Lord of the Rings but don't hold that against me when I say that the new Clarins Ombre Matte Eyeshadows are nothing sheer magic! 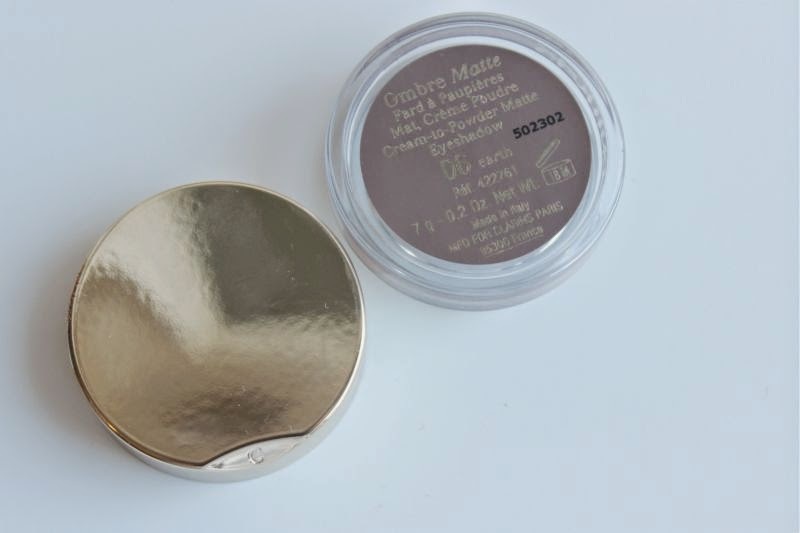 A quick overview of the packaging of the new Clarins Ombre Matte Eyeshadows - a small but sleek round screw top jar that is plastic. Admittedly plastic isn't always a crowd pleaser but when you travel a lot or have butter fingers (guilty) it is a blessing as it will survive a knock or ten, not to mention you can pop it into your on flight case. The jar is pretty dinky but more than large enough to fit in the biggest blending brush you own or chubbiest sausage finger (again guilty) should that be your preferred application method. Basically no complaints what so ever and the classic Clarins golden accent in the form of the lid really classes things up too! All in there are six shades within the Clarins Ombre Matte Eyeshadows which are part of Clarins Autumn 2014 Collection - Ladylike. All six hues are fairly neutral but do come in a range of warm and cool tones so in essence there should be at least one shade for everyone. I have the shade Earth which is a deep, matte and in some sense flat matte brown. 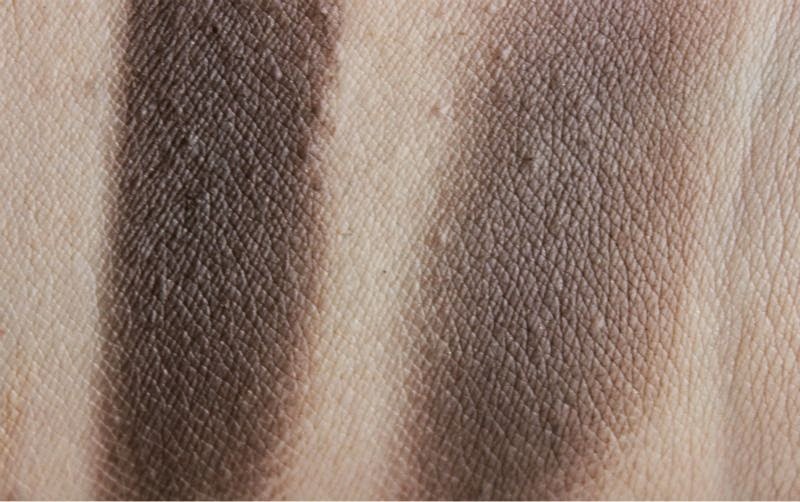 There is no shimmer or life within this chocolate brown which isn't necessarily a negative thing as it is super flattering, even on more mature skin not to mention it can double up as a liner. 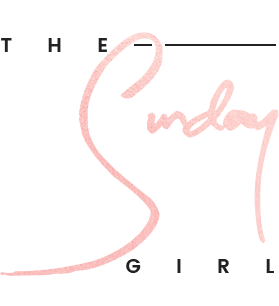 Obviously if you loathe matte formulas you may want to give this a miss but if the reason you steer clear is due to chalky, weakly pigmented and hard to blend mattes then please try this out. It really is a game changer and one of the best mattes I own, never mind the fact it is a cream texture! Off the top of my head I can't quite recall any matte cream eyeshadows? Feel free to list any obvious choices in the comments but in my opinion it is a fairly new concept? 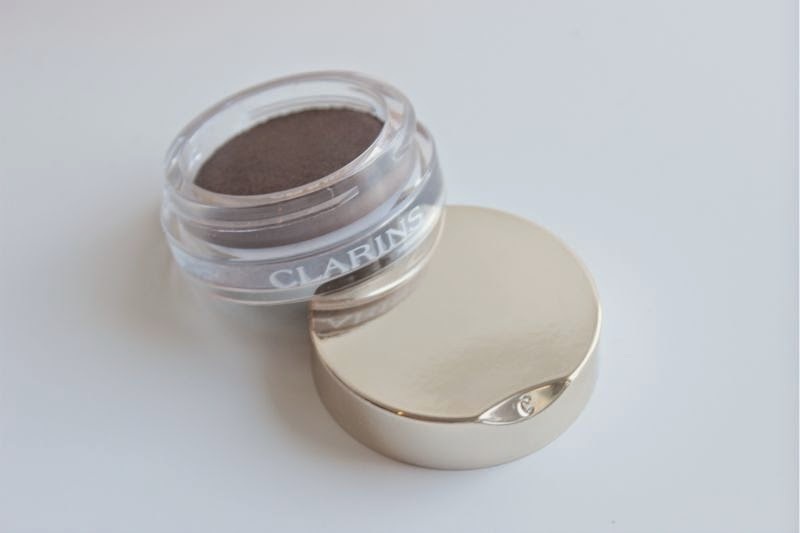 In all honesty I didn't expect to like the Clarins Ombre Matte Eyeshadow formula half as much as I do! It is beyond pigmented, if you are heavy handed wipe your brush off before applying as sweet mother the colour pay off is intense. My above swatches come from one teeny, tiny swipe of the eyeshadow. However despite the colour intensity the creamy texture makes it a dream to blend out, a good fluffy blending brush and you have a soft, matte finish that is beyond flattering on the eyes. It doesn't cake or settle into creases (or lines) nor does it crease, I have really oily lids and I can easily achieve around 8 hours of wear without a primer (living on the edge eh? ), with a primer you are easily talking a good 10 hours. 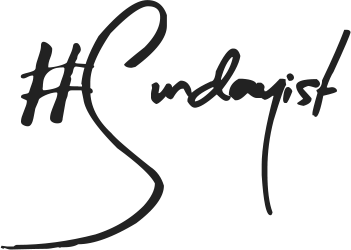 You can also prolong wear by applying powder eyeshadow on top - unlike some cream formulas this allows you to blend out powders with ease. 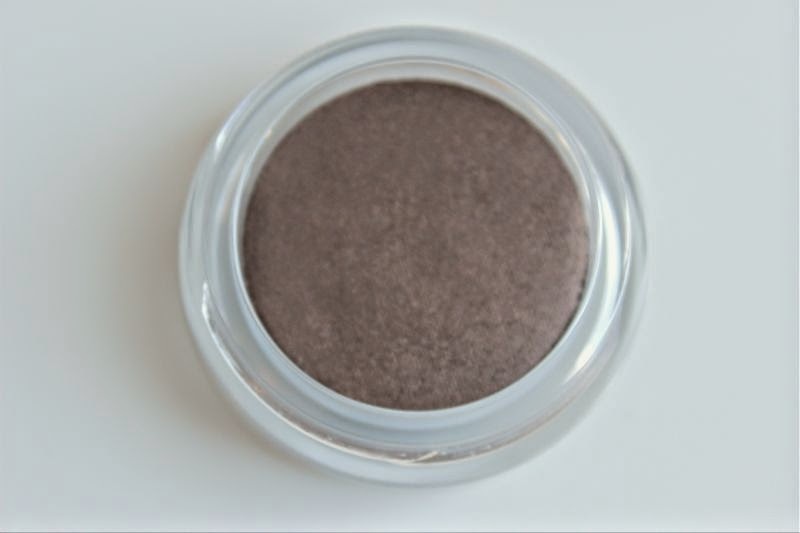 Basically this is the matte eyeshadow to end all matte eyeshadows! Look out for the Clarins Ombre Matte Eyeshadows (£19) and the entire Clarins Ladylike Collection launching this coming August.